Should You Take an On-Site Freelancing Assignment? If you have local freelancing clients, you may have a client who requests that you work on-site. This is a particularly common request in certain fields, such as programming. But the request could come any time you are going to be part of a larger team. The question is, if you are asked to work on-site for a freelancing project, should you agree to do it? Personally, I’ve done both. I’ve worked as an independent contractor on-site and I’ve also been an employee who worked with a freelancer who sometimes worked on-site. What I’ve learned from those experiences is that there is no one answer to the question of whether you should work on-site, but there are some factors you should consider before you take an on-site gig. In this post, I’ll list seven factors you need to consider before you agree to work on-site for a client. If you liked this post, you may also like How to Contact Clients Directly and Find More Freelancing Work . Deciding whether to accept an on-site project is a big deal. 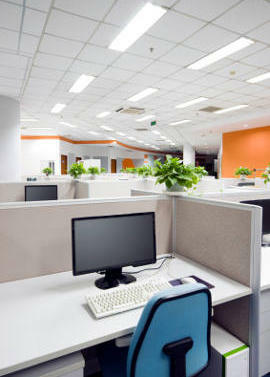 Working in the client’s offices often means working in a cubicle, with all the interruptions that go along with that. Working on-site can also mean having to deal with office politics again. And don’t forget the office dress code and the cost of eating lunches away from home. How far away is the client’s office? Working on-site gets you out of your home office and back into a regular commute. Still, working on-site can have some networking benefits. However, if the client’s office requires a significant commute (more than 20 minutes, one-way), consider asking for travel reimbursement. How many hours will you be expected to spend on-site? Does the client expect you to be on-site eight hours a day, five days a week? Or are they open to a more flexible schedule–perhaps allowing you to work at home most days as long as you are present for meetings and for other significant developments. Does the project really require on-site work? A local client may request that you work on-site simply because it makes them feel that they have more control over your part of the project. However, if there is no real reason to be on-site you may want to seek out other alternatives including sending regular status reports. How long is the project expected to last? Most freelance gigs are relatively short. However, some more complex projects can last for months or even years. The longer the project, the more careful you need to be about how you bill for the work. You want to make sure that you are paid for all your on-site time. Will the client allow you to work on other projects while you’re on-site? Like most freelancers, you probably have more than one project going on at a time. If you are on-site, this could possibly cause problems. What happens if another client wants to schedule a call while you are working at the on-site client’s office? Who supplies what? In some on-site freelancing situations, the client provides a computer to work on as well as access to company software and resources. In other situations, the client provides only a space to work. The freelancer is expected to bring their own computer, loaded with their own software. How will you be paid for your work? On-site freelancing gigs are one of the few types of freelancing gigs that are frequently paid by the hour. Most clients feel comfortable with that since they know when you were present and working and when you were not. If the client is unsure of how long the project will last, hourly may be better for you as well. As with any freelancing job, make sure that you have a contract in place before you begin work. Also, be aware of the legal differences between contractor and employee status. Depending on the client’s requirements, you may actually legally be considered an employee if the project is very long-term. The U.S. Small Business Administration provides a good description of what some of the differences are for United States-based contractors in this article, Hire a Contractor or an Employee?. Has a freelancing client ever asked you to work on-site? How did you handle it?